Gregor Gmerek was found guilty at the Yorkton Court of Queen’s Bench Friday. 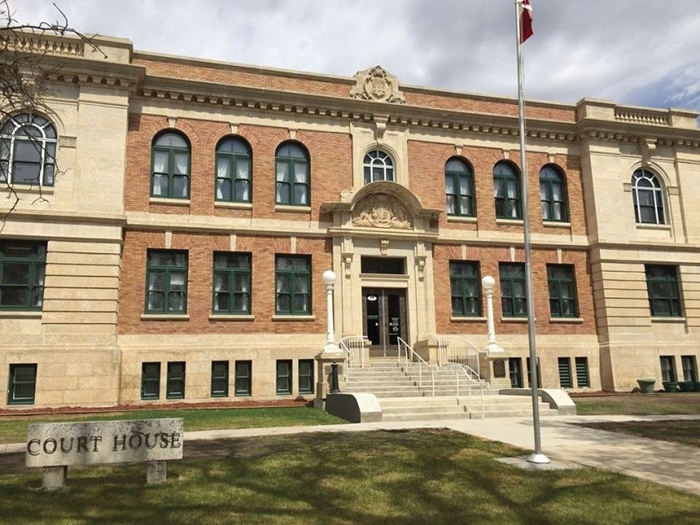 Gregor Gmerek was found guilty of fraud and forgery in Yorkton Court of Queen’s Bench Friday. Justice Janice McMurtry found that Gmerek had defrauded his former employer, Prairie Livestock, of approximately $1,000,000 by various means, including issuing cheques to himself, depositing them, then voiding them on the company’s accounting system and issuing second cheques with the same cheque number. Deposit slips were also falsified, Justice McMurtry found. Funds were deposited into Gmerek’s bank account and used to pay his wife’s credit card bills, she found. As McMurtry went through the various pieces of evidence presented at trial, she said she found Gmerek’s explanations for most of them not credible. A sentencing hearing is set for July 9, once the prosecutor and defence lawyer have time to formulate arguments on sentencing. After the guilty verdict, the Crown prosecutor asked that Gmerek be immediately taken into custody, arguing that Gmerek has contacts overseas and may try to flee justice before sentencing, since the crime he committed often results in a sentence of five to 14 years. “The gravity of the offence . . . fraud over $5,000 carries with it a sentence of a maximum of 14 years. Frauds of $5,000 or more do have a minimum sentence,” he says. The defence argued that Gmerek has surrendered his passport and has been checking in with RCMP regularly, and therefore is not a likely flight risk. “He has been on these conditions for going on five and a half years and he has not breached his conditions. He has more connection to Saskatchewan than anywhere else. His family is here, his wife is here, his daughter is here. He doesn’t pose a threat to the public,” the defence lawyer argued. Justice McMurtry decided that as Gmerek is unlikely to get into a position of trust in which he can defraud an employer again before sentencing, and because he has never breached his conditions, he was not taken into custody, but will appear in court July 9 for sentencing. The fraud was discovered by the Sinclair, and charges were laid against Gmerek in December of 2012.